Preheat oven to 400 degrees. Makes two quiches. Optional: 1 1/2 to 2 cups of lightly packed, washed and dried fresh spinach, measure, then finely chop. 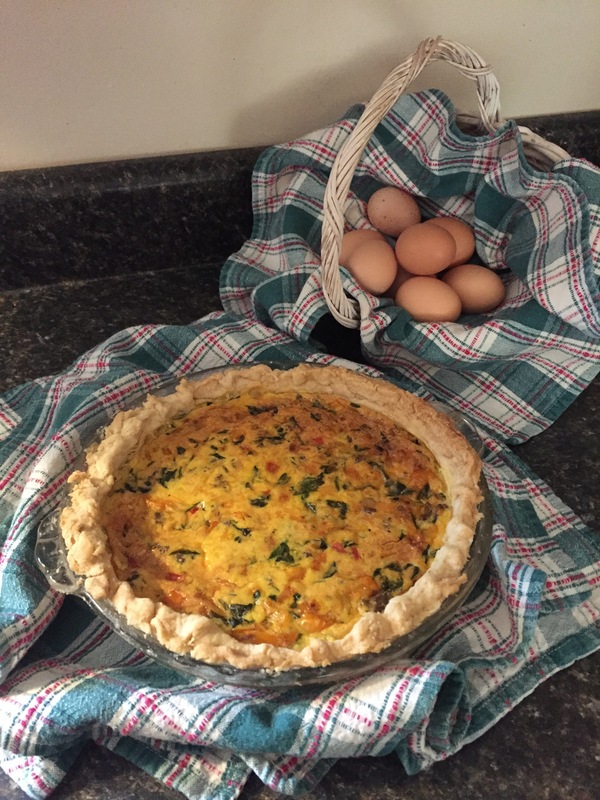 If adding optional pepper and spinach, (as pictured above): (I like lots of veggies in the quiche, so I use the larger amount, but adjust according to your taste.) Spray skillet with cooking spray. Add a drizzle of olive oil. Saute pepper over medium heat for about two minutes. Add the spinach to the pepper and saute for approximately two more minutes. Allow to cool slightly. Add to egg mixture. Stir gently. Ladle into pie shells. Follow baking directions as above.